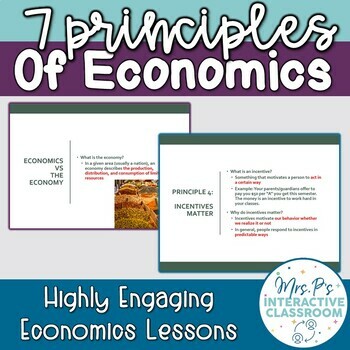 Intro to Economics: the 7 Principles of Economics Lesson! Every semester, I am genuinely excited to introduce my students to the wondrous world of economics. I love the ah-ha moments as students start to take their observations of the world and our economy and make connections to how the real-world works. 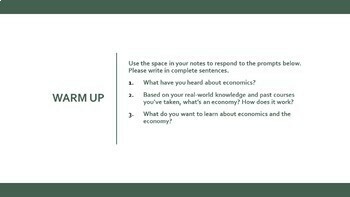 I want my students to be excited about economics, so this lesson is designed to directly apply the 7 principles of economics to students’ lives. With an engaging combination of content, creative activities, and application, students find this lesson relevant and interesting. 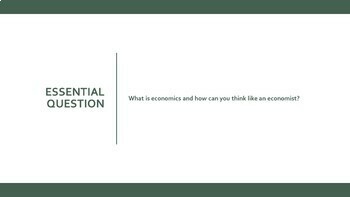 This lesson will teach your students all about what economics is and how to think like an economist using the 7 principles of economics. I use this as my first content lesson of the semester. 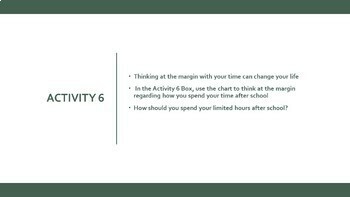 Along with lecture notes, I've included engaging activities and critical thinking opportunities throughout the lesson. I usually teach this lessons in one 50 minute period.